The Council on Foreign Relations (CFR) and Foreign Affairs offer resources and analysis on the significance of the U.S. exit from the Iran nuclear agreement, known as the Joint Comprehensive Plan of Action (JCPOA). “The United States is already in violation” of the nuclear deal, Iranian Foreign Minister Mohammad Javad Zarif said in a discussion at CFR. Senior Fellow Philip H. Gordon, who worked on the Iran deal in the Barack Obama administration, wrote a three-part series in the Atlantic on what the end of the Iran deal would mean and in an interview for CFR.org offered his take on the sanctions waivers. 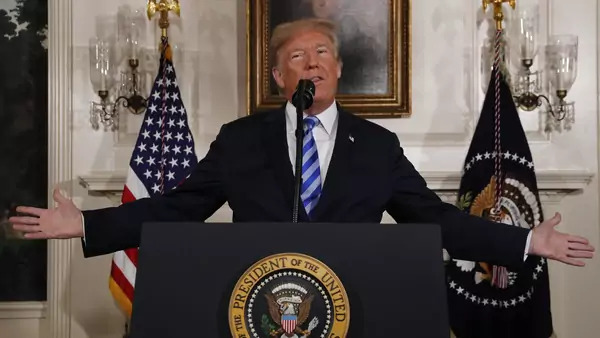 Senior Fellow Ray Takeyh, a former senior advisor on Iran at the State Department, argues in an op-ed with Reuel Gerecht for the Washington Post that Iran will not rush to ramp up its nuclear program if President Donald J. Trump pulls out of the nuclear deal. Trump’s recent decision to resolve its dispute with Qatar “almost certainly means he has made up his mind to bust the Iran nuclear deal in the coming weeks,” according to Senior Fellow Steven A. Cook's analysis in Foreign Policy. A re-imposition of oil sanctions against Iran could put Saudi Arabia under pressure to offer to replace Iranian oil that would be lost to buyers, explains Senior Fellow Amy Myers Jaffe in a CFR blog post. The Trump administration can learn a lot from the Iran deal ahead of the summit with North Korea. Adjunct Senior Fellow Lori Esposito Murray lists five lessons for the administration in Defense News. The Trump administration would be faced with the challenge “to establish a legal structure to reinstate sanctions against Iran” after withdrawing from the JCPOA, Peter Harrell, adjunct senior fellow at the Center for a New American Security, concludes in a snapshot for Foreign Affairs.